Jim Leonard has been an organist for 44 years; 33 of those years as organist at Collier Street United Church in Barrie, Ontario; he retired June 7, 2009. 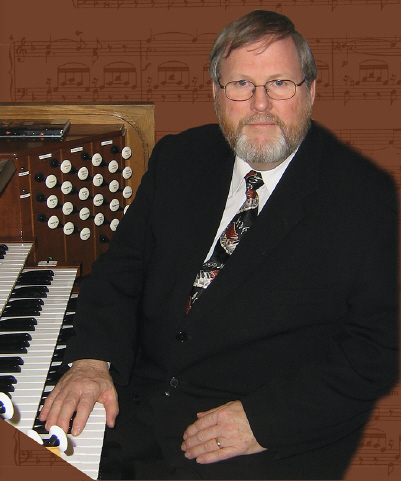 He has played organ recitals in Germany, England and across Ontario – to standing ovations. He is known to be a cool, exciting, dynamic player with great virtuosity at the pipe organ or piano, whether playing Bach, Brubeck, or Lloyd Webber. Jim was the accompanist for the King Edward Choir of Barrie Ontario under the direction of Barbara McCann from 2001-2009.